This robust and eco-friendly bamboo slat fencing screening roll will make a perfect practical addition to your garden. It is popular as a way to improve existing fencing and frame flower beds. The bamboo is strong enough to increase the height of existing fences. It can be used on its own or attached to an existing fence. These bamboo slat fencing screening rolls can be attached to existing garden fences, stone walls, chain link wire fencing, arbours and many other areas the garden which requires screening or shade. It can be easily attached to wooden garden fences by the use of galvanised garden staples securing top and bottom of the bamboo slat fencing screening. 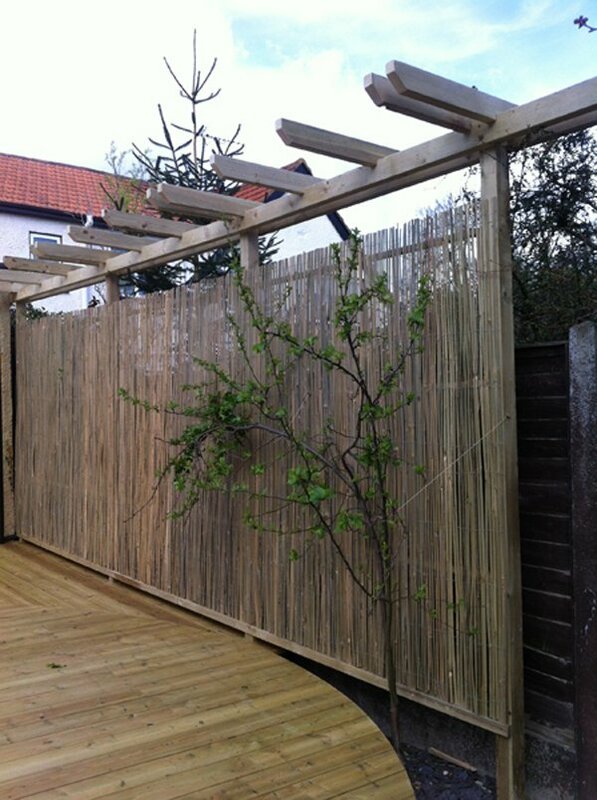 This bamboo screening is Ideal for disguising existing walls and fencing, it can also be used over arbours and pergolas, creating a soft shaded area beneath. It is made from full height bamboo canes, each held together by the use of galvanised wire. 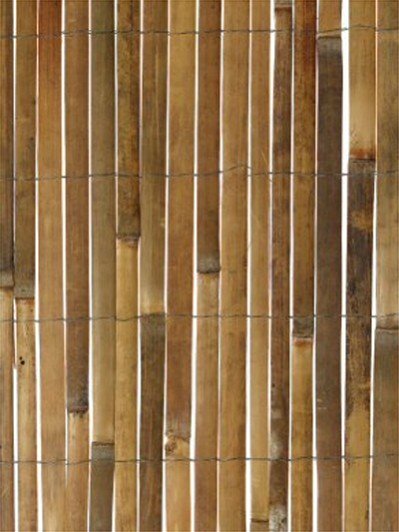 Each roll of screening is made of individual vertical bamboo slats cut from a large cane (each vertical is a complete slat - there are no breaks). The average width of each slat is 15mm (0.6ins), varying from 5mm to 20mm. The slats are tied together with horizontal galvanised wires. Each roll is made of individual vertical bamboo canes. The average width of each slat is 15mm (0.6ins), varying from 5mm to 20mm. The canes are tied together with horizontal galvanised wire. PLEASE NOTE: This is a natural product and there will be variations from roll to roll and cane to cane. We cannot guarantee each roll or cane are identical as colour, width and length will vary. For example, the width/thickness of each cane in the same roll will vary between 5mm and 20mm. The average width is approx 7mm. Thanks to Mr A for these great photos of the screening in his garden. "It's a good product and fit for the intended purpose." "good service both product and delivery"
"Good quality product, looks good when up." "As above - metal fence is on slope so we needed two different heights"
"Excellent screening. Easy to set up, fit for purpose, cheep and arrived promptly"
"good price, good product :-)"
"Great product and super quick delivery." "Looks fantastic and helps to cut down the wind"
"Looks lovely at the bottom of my garden."